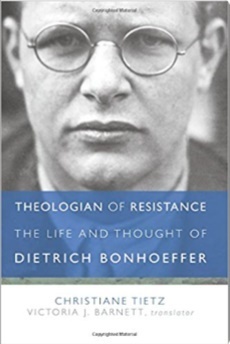 Theologian of Resistance: The Life and Thought of Dietrich Bonhoeffer by Christiane Tietz, translated by Victoria J. Barnett (Minneapolis, MN: Fortress Press, 2016), viii + 141 pp. Christiane Tietz is professor of systematic theology at the University of Zurich and chairperson of the German language section of the International Bonhoeffer Society. She is also the world’s best interpreter of Bonhoeffer’s theology. It is welcome, then, that Fortress Press has published this English translation (by Victoria Barnett, herself a top Bonhoeffer scholar) of Tietz’s Dietrich Bonhoeffer. Theologe im Widerstand, which originally appeared in 2013 in the German publisher C.H. Beck’s series ‘Wissen,’ a prestigious line of short, affordable, introductory paperbacks written by leading scholars. This translation follows the German original in providing ten succinct chapters organized chronologically, each discussing biography and theology against historical background. There is nothing explosively new in the biographical material, which largely follows Eberhard Bethge’s definitive work. The theological assessments are balanced and informed. An epilogue offers both an expert encapsulation of Bonhoeffer’s diverse and global reception as well as a reflection on his contemporary relevance. This volume fills the need for a compact and informed introduction to Bonhoeffer’s life and theology. There is no better place to start. 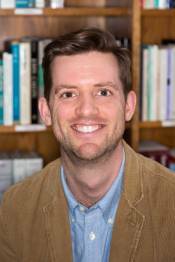 Michael DeJonge is a leader among the younger generation of Bonhoeffer scholars, author of the widely respected Bonhoeffer's Theological Formation.